Woodstock will never get old…it will just keep getting better. If any of you old-time rockers haven’t found out yet, the folks handling the original recordings of the Woodstock performances have recently released entire sets of certain bands. Those lucky few bands include Santana, Sly & the Family Stone, Janis Joplin, Jefferson Airplane, and Johnny Winter. I just got my hands on a copy of the entire Santana set, and boy, am I glad I spent that 20 bucks. The band, virtually unknown before their famous performance in White Lake, New York, completely kills it in this live album. It’s full of strong, funky, latin drum beats, blaring guitars and organs, and a flavor unlike any other band that played at Woodstock. But would we expect any less? The sound makes it pretty close to impossible for you to stand still. I keep listening to the cd over and over again, and always find at least some part of my body moving and grooving along with Santana’s charm. Drummer Michael Shrieve, who happened to be the youngest (and maybe the best?) drummer at Woodstock, is one of the main driving forces that makes this performance so powerful. His beats, along with the addition of the congos and bongos, make the entire set sound so intense that it’s almost tribal. And of course, where would we be without Carlos Santana, the lead singer and guitarist? His latin flavor brings even more authenticity and spark into the music. If you’re any kind of Santana fan, you might want to consider picking yourself up a copy of this cd. 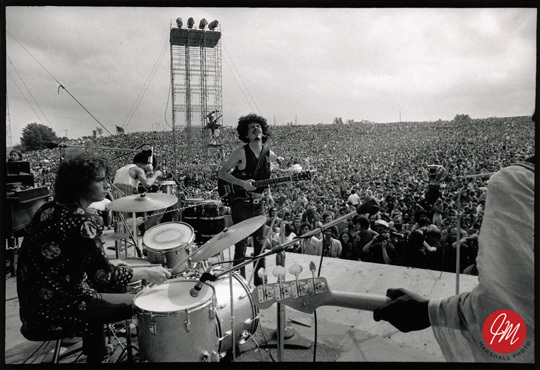 It comes packaged with the band’s album “Santana” and also a poster capturing them onstage at Woodstock. Also, each one is individually numbered, so you can feel like you’ve really got something special there. If you’ve never been a Santana fan before, but are considering giving them a go, start with this cd. It is one of their best. On a side note, I still can’t believe Carlos Santana was on mescaline for this whole performance. Imagine that. It’s no surprise that many people, businesses, and artists have been paying homage to Woodstock, the 1969 hippie fest where peace and love ruled all this summer. After all it did happen 40 years ago this month. The very groovy poster for 'Taking Woodstock.' Photo from wildaboutmovies.com. I have seen Woodstock clothes in warehouse and other retail stores. There have been re-releases of the original Woodstock dvd. I even saw some Woodstock pint glasses at Target. Some people have deemed this the ‘Summer of Love’ yet again. But this seems to be even greater — Ang Lee, director of Brokeback Mountain and Chosen, has created an onscreen homage to the famous festival in his movie Taking Woodstock. See the complete trailer for Taking Woodstock by clicking this YouTube.com link. The movie is based on the true story behind the creation of the three day shindig. It starts at the choosing of Yasgur’s farm and ends with the culmination of events from the entire experience. 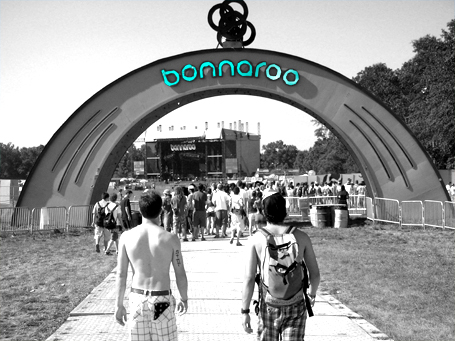 It details locals reactions, kids coming into the music festival, and the general goings-on of the festival creators themselves throughout the whole concert. Fortunately, the movie will come out soon. August 28 to be exact. That’s only about a week after the real 40th anniversary date of Woodstock. Not bad timing.